I bought yesterday WP Frontend Pro, BuddyPress Integration, PaidMembership integration, and User Listing, this for my WordPress/BuddyPress install (latest versions of WP/BP). I created 4 new User Roles, 4 Registration Forms for each new Role, and 4 new Registration Pages for each new Role with their respective shortcodes inserted. Then I selected the pages under Login/Registration (WP Frontend Pro settings) for every new Role, and selected to override the Login/Registration so that the default login and registration forms are overridden by the WPUF pages. 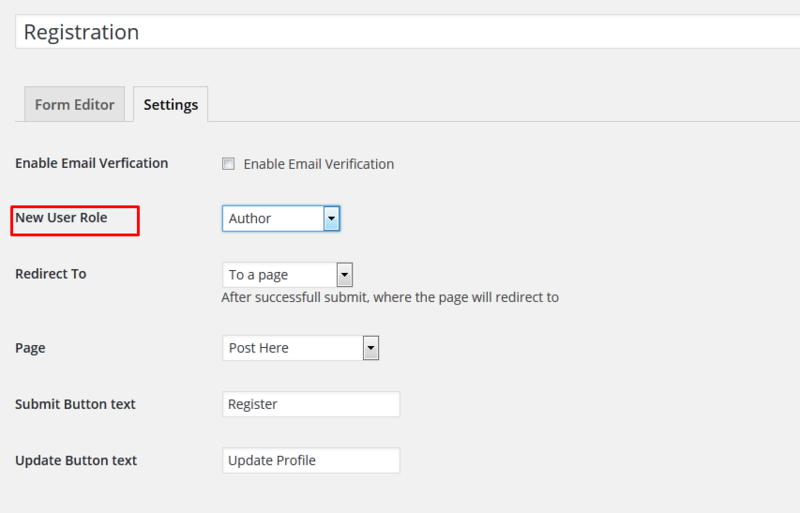 When I tested the new setup, my theme kept displaying the default BuddyPress registration form. So, I'm stuck now cause I do not know how to override the default registration form. When I will succeed to override with your input, then I would like to know how I can address a new user to a certain registration form as I have 4 forms (student, teacher, teacher-assistant, and other). 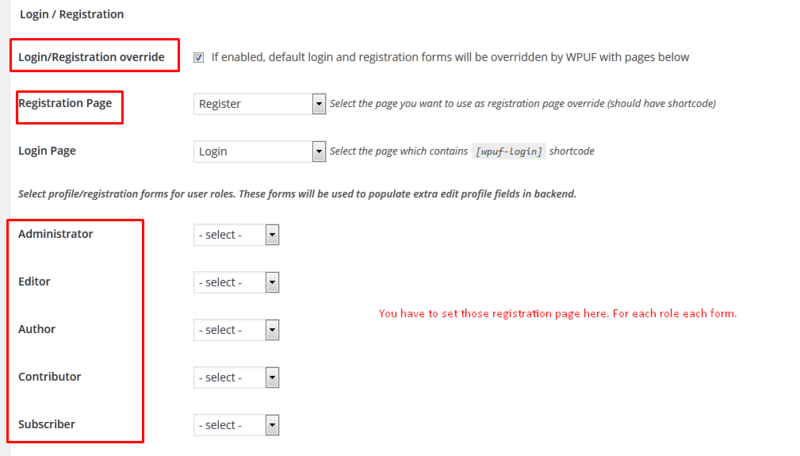 I do not understand now from which page a user can select his Role and the corresponding registration form. Hope you can help me out quickly. First of all from your registration form you have to select the default new user role- . The topic ‘Multiple Registration Forms’ is closed to new replies.